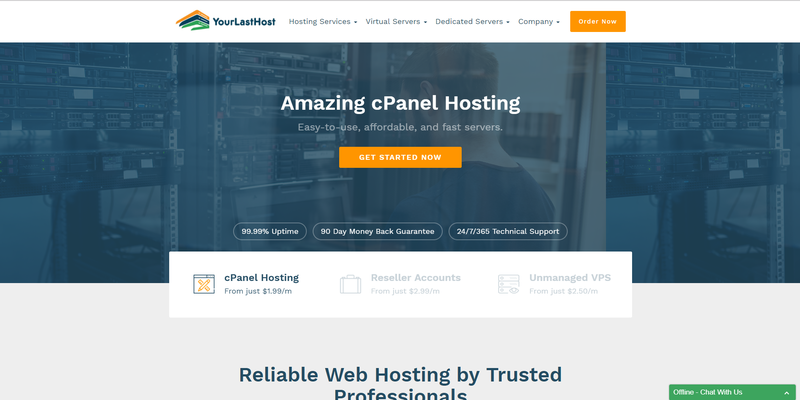 [CYBER MONDAY] YourLastHost – Shared Hosting Specials! Hello all! Happy Cyber Monday! Our first deal of the day comes from Justin over at YourLastHost! YourLastHost is a registered company in Wyoming (filing ID #2016-00070935), their WHOIS is public, and their ToS is here and AUP here. They accept PayPal and Bitcoin as payment. “YourLastHost was founded March 2016 and is focused on providing high quality solutions in a low end market. We are particularly proud to offer a combination of powerful features that few companies can match, including 24/7 support, a 90-day money back guarantee, 99.99% uptime, affordable DDoS protection, and RAID-10 disks. More plans after the break! $12/year for bronze with SSL certificate, I think it’s $8 witout a cert but with Letsencrypt on the market it has become so easy to do SSL certs. BTW does anyone know why all these hosters do not allow subdomains? Thanks for reaching out. We do actually allow subdomains. In this day, the price is the most thing everyone care about. But they do not write down price on this promote program. I recommend this Provider has a very good IO around 1000 Megabits per second.